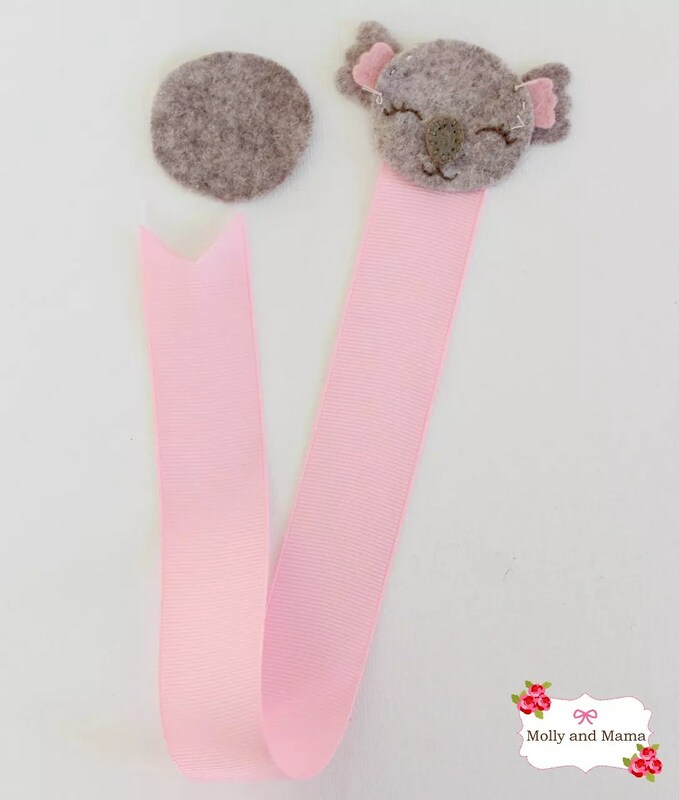 Would you like to learn to hand stitch this very sweet felt koala bookmark? Australia Day is just around the corner! So I’ve been busy creating koala patterns and tutorials. Read on for more details! 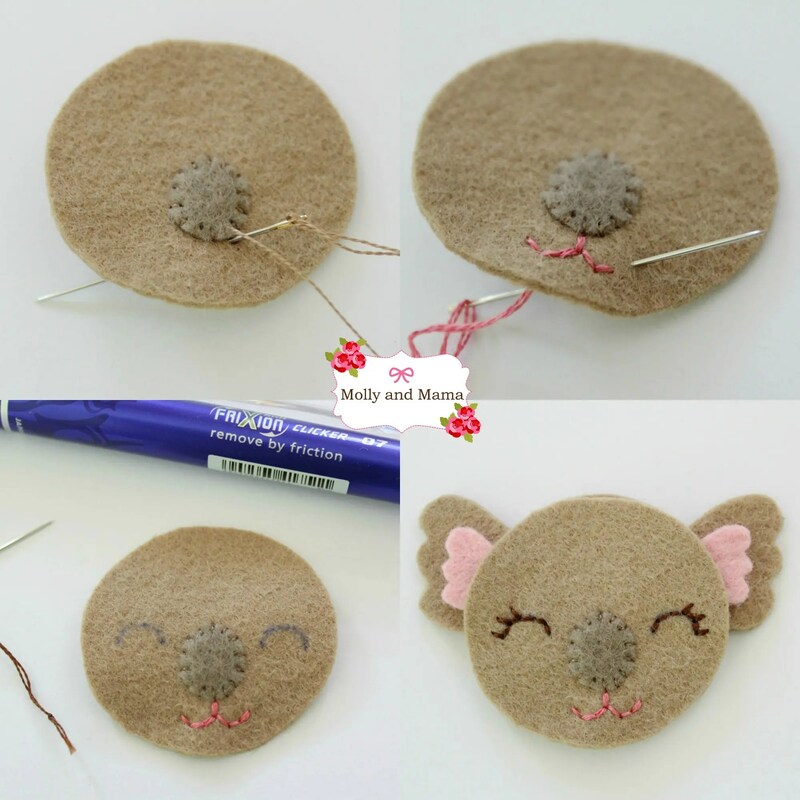 You may remember the felt koala hair clip tutorial from last year? 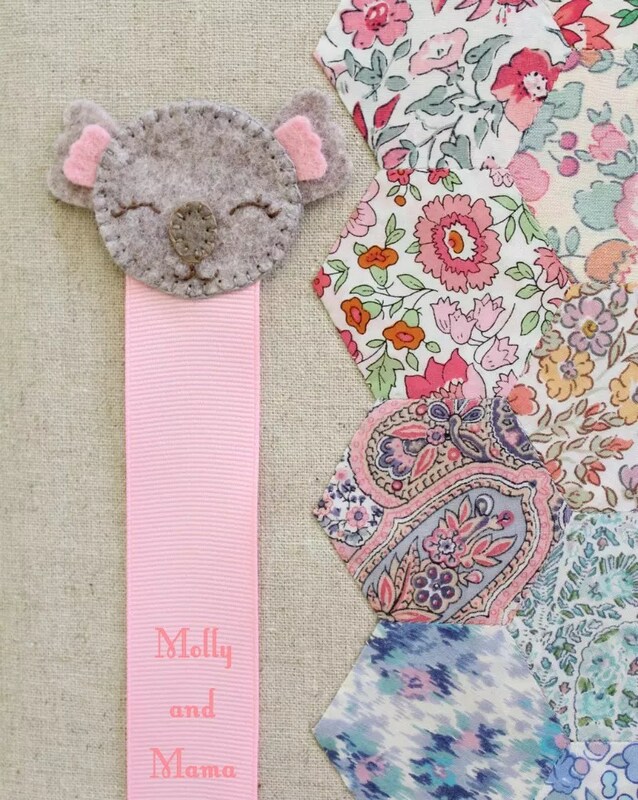 Well our little koala bookmark uses exactly the same template, and similar instructions. It’s a quick make and lots of fun! 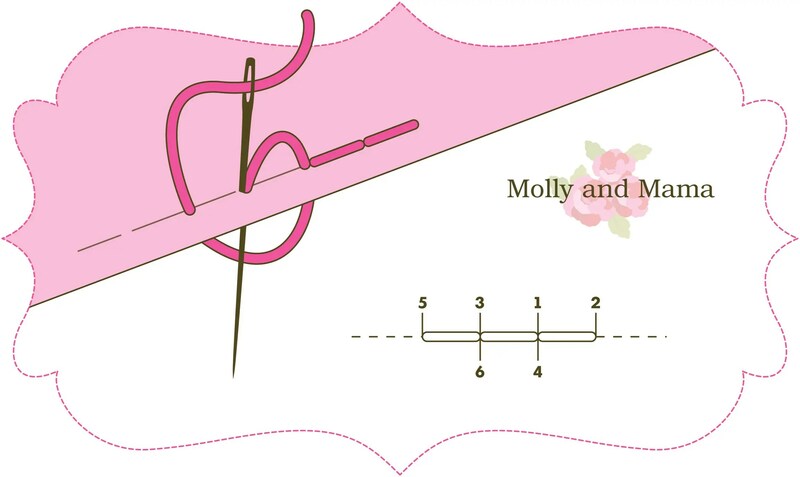 So I’ve included the same instructions as the hair clip, but added some changes to help explain how to add the ribbon. 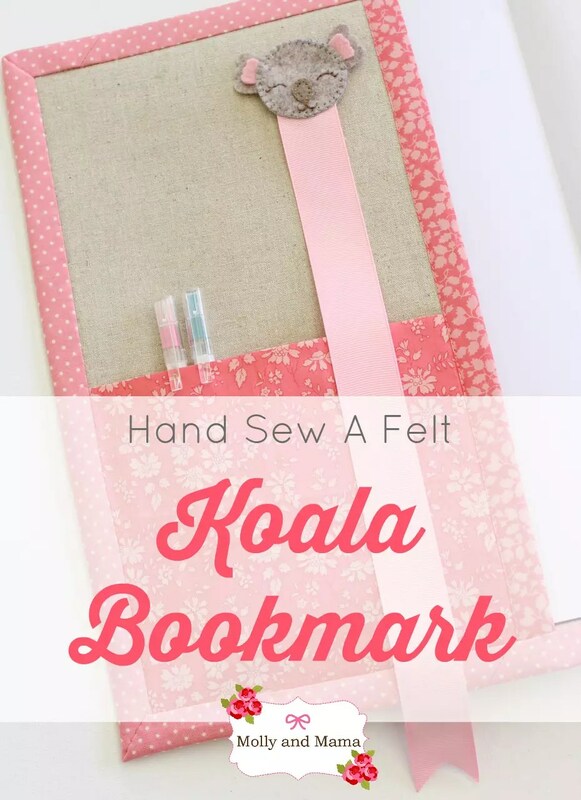 The finished koala only measures 6cm (or 2.5″) across (and you can make the book mark ribbon any length you like). She’s stitched in wool felt. If you haven’t already guessed it, I’m obsessed with this medium! 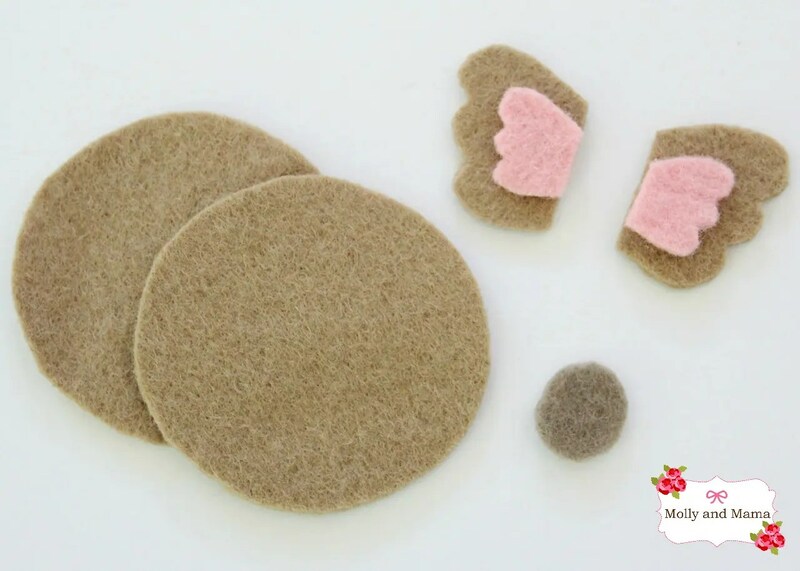 You can see more tips for using wool felt HERE. Download and save the koala template so that you can use it anytime. You can find a copy of it HERE. It’s pretty basic but it does the job. (This project is for personal use only. Thanks for understanding). Cut out your template pieces using small embroidery scissors. As most of the pieces are too small to pin to the felt, I used freezer paper to attach the template to the felt. Alternatively, you can just pin or hold the paper template in place while cutting.Or stick the template to the felt with sticky tape. You’ll need two head pieces, two ears, two ear inners and a nose. Now let’s create the face. Thread your embroidery needle with two strands of taupe embroidery floss. Position the nose piece on one piece of the face felt. 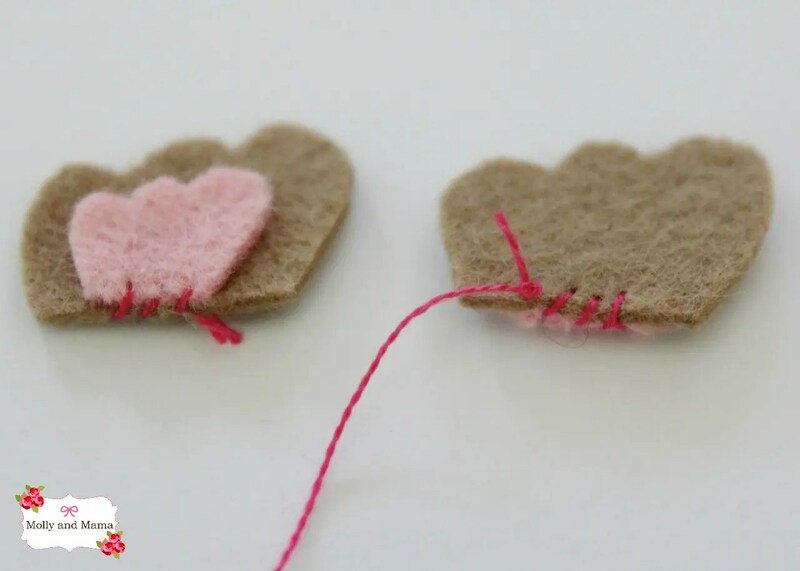 While holding it in place, carefully blanket stitch the nose in place. I started stitching at the base of the nose, where my mouth embroidery will begin. Here’s little diagram on Blanket Stitch in case you need a refresher. Next, we’ll embroider the facial features using back stitch. For more tips on Back Stitch head over to this tutorial HERE. This image is also a great refresher! It’s time to stitch the mouth. Thread your needle with two strands of brown embroidery floss (or whichever colour you choose). Using the template as a guide, you can stitch the mouth design on freehand. Or you can use an erasable pen to mark your outline first. Start at the base of the nose and make one straight stitch down, then you can branch off on either side to stitch the smile. Prepare the ribbon by folding one end in half and making a diagonal cut on the fold. Heat seal both ends of the ribbon so it doesn’t fray. Now we’ll sew the koala and the ribbon together. But first, use sewing cotton to baste the ears onto the head with loose stitches (you’ll remove them later). Make sure they slightly overlap underneath. Put the second head piece you cut out, onto a flat surface. Lay the ribbon over the top so that it slightly overlaps the base of the head. (You may wish to baste the ribbon in place too). Place your embroidered face piece on top. Pin the layers together. Thread your needle with two strands of floss to match the koala’s head colour (grey for this project). We’re going to blanket stitch the two head pieces together. Begin your stitching below the right ear. Stitch down the side of the head and make sure you stitch through the ribbon, and the ears, as you go (to keep them all securely in place). Secure your stitching well when you return to the starting point. Don’t forget to remove your basting stitches. Then your bookmark is all finished! I hope you’ve enjoyed this sweet little tutorial. Don’t forget to check out the Koala Clip Tutorial too. My daughter LOVES this clip! So it’s sure to be a favourite! 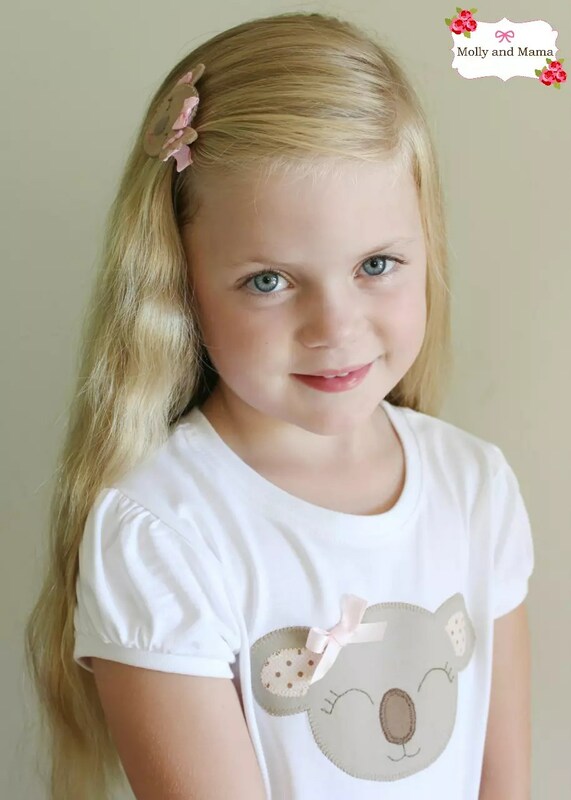 Coupled with her Katie Koala appliqué t-shirt, it makes a cute ‘Australia Day’ ensemble. You can pick up the pattern for the Koala appliqué in the store. 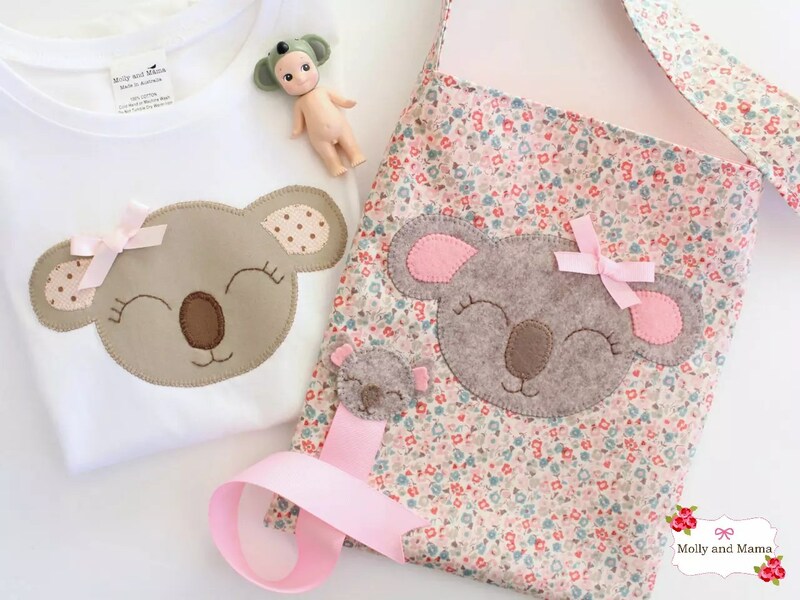 If you’d like to have a go stitching the Katie Koala applique onto a simple tote bag, it’s very easy too. You can pick up the instant download PDF pattern for it HERE. 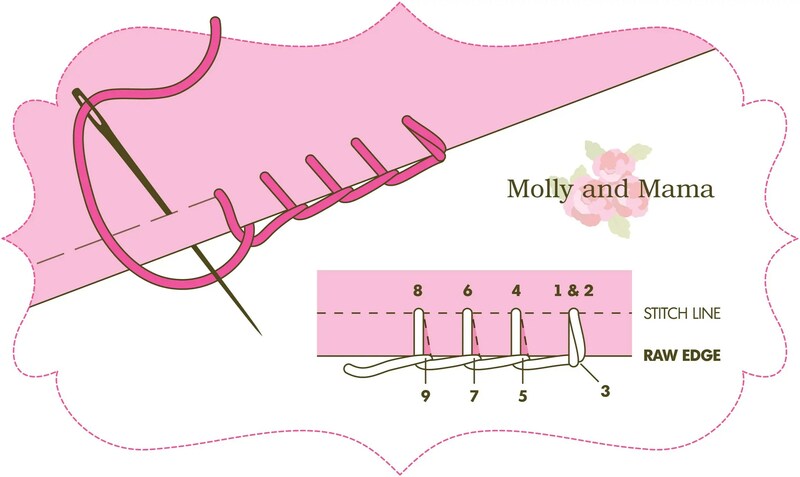 This pattern was designed specifically for beginners, so it’s a great project to get someone started on their sewing journey. I love sharing your work, so feel free to show what you make on the Molly and Mama Facebook page, or tag #MollyandMama and @MollyandMama on Instagram.